It’s about that time of year where we start to hear grumblings of what’s new for the Yeti catalogue. Although, unless you’re an industry insider you can’t touch it until at least September/October. I’m excited to see if there are any updates to the 5.5 beyond colors. Having owned two I’d like to see a little bit longer of a reach and a tad shorter seat tube. Maybe a bit wider rear triangle so the 2.5 DHF isn’t rubbing in hard riding. How about a 5.5 TR? With the recent release of the SB100 featuring new switch infinity system, and new shock placement, I wouldn't be surprised if new models are going to be released that mimic this layout. It'll make room for a bottle cage within the frame which a lot of people have been asking for. I'm holding out on getting a 5.5 to see if this is the case. I’ve read the forum rumors of possibly a new Yeti SB5.5, so I thought I’d throw a bit of a speculative guess as to what’s coming………..
A reliable source confirmed to me today that the 5.5 will have a 170mm front end and 150mm rear and will fit a water bottle in the front triangle. Due be announced in the next 3 weeks. A few geo changes to make it an enduro weapon. 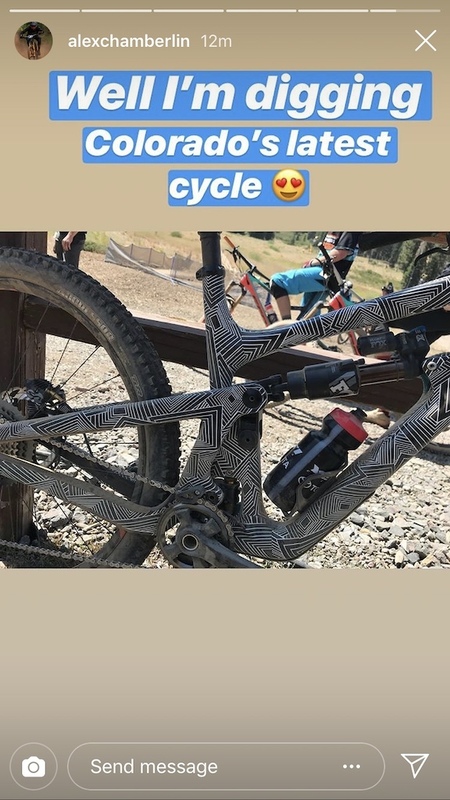 Here is a renduring of the upcoming 2019 yeti sb150!!! what do you think? Here is a picture of the upcoming 2019 yeti sb150!!! what do you think? Is Yeti moving away from the 4.5/5.5/6 model designations? Really interested in the geometry of both the 2019 SB130 and SB150. -I took the image of the sb150 and put it into photoshop and measured the head tube angle at 64 degrees. i did the same with the sb130 and got around 65.5 degrees. -I also did the same with the effective seat tube angles on both and both the sb130 and sb15 gets around a 77 degree effective seat tube angle. *please note that this does not take into account the very possible addition for adjustable geometry, and these numbers were calculated in photo editing software and may not be 100% accurate. funny how all the forums keep deleting the images.... except the first photoshop that still links the new look is growing in me. that orange sb150 looks like its gonna be a monster!! But 130/150 would be the logical choice for most riding. Gonna demo a Sentinel this weekend. Hope the new Yeti's will be in shops by the end of next month!! I like that paint job better than the orange or the blue! Funny though, paint it black and put some Loud cheezy stickers like some Chinese carbon catalog eBay frame and most wouldn't give it a 2nd look. trunion? or just some kind of a shock yoke? 29 mins ago - Biking without a backpack. 2 hours ago - Best trails around Winter Park? 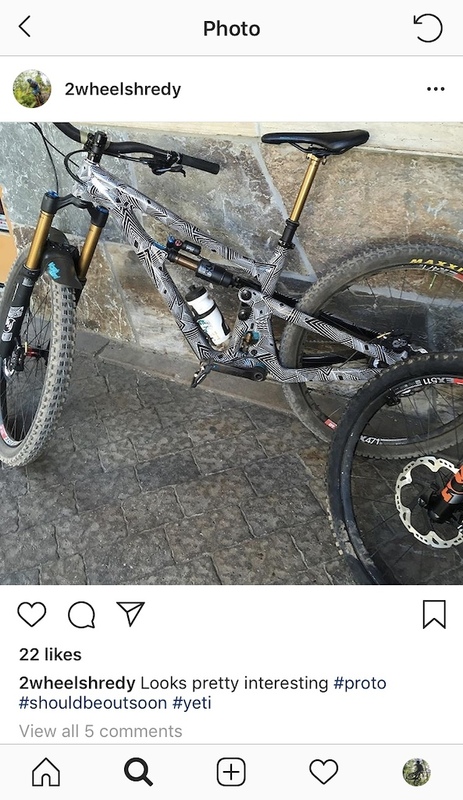 3 hours ago - Where are the 27.5+ STEEL hard tails? 4 hours ago - Are these Manitou Markhors on ebay real? 4 hours ago - 140mm full suspension: good enough for whistler? 4 hours ago - RF Narrow wide ring and 11 speed sunrsce. Too wide? 5 hours ago - RATE MY RIDE XC/AM - RATE THE BIKE posted above you.